You are here: Home / Brian Gale Surveyors / Hungry Vermin! During a recent Limited Building Survey on a property in Capel we found evidence of the lead flashing to a chimney breast having been chewed by vermin – squirrels or rats. 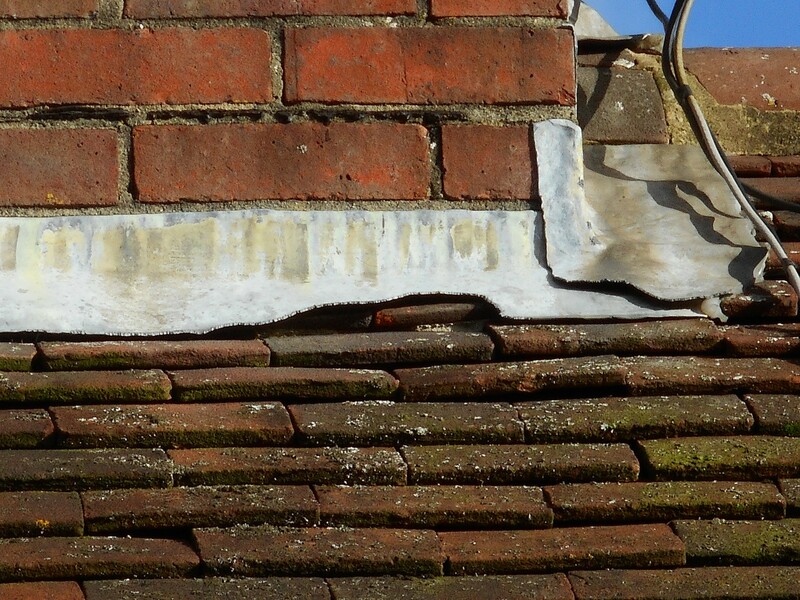 Although vermin usually chew through rotten soffits, lifted or slipped tiles and damaged eaves, they can often chew through leadwork in order to gain access into a roof void where they will then nest. Once vermin have infested the roof space they can then cause further damage by gnawing through electrical cables and timbers. 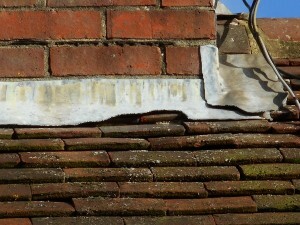 It is important to note that rainwater will now penetrate into the roof space which could cause further damage internally and the lead flashing may lift further in high winds. It is therefore, extremely important that the correct pest control measures are taken, especially to properties which are in rural areas as this can prove more cost effective than expensive leadwork repairs.